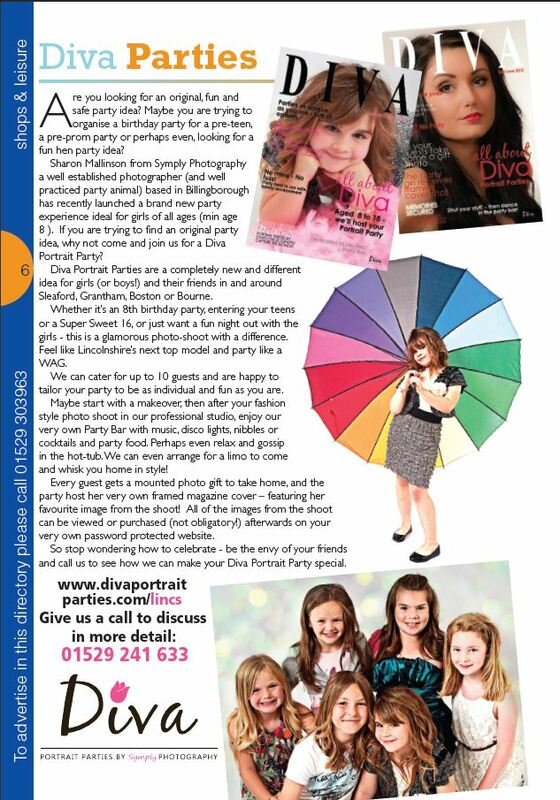 Diva Portrait Parties have been featured in the August edition of the Local Lincs which is distributed around Sleaford and surrounding villages. A big thank you to Melissa, and Leah and her friends for allowing me to use their images for advertising. We have another editorial coming out in September – this time with news of an amazing competition with a prize worth £150 so keep your eyes open for that dropping through your letter box! Here is the page that is featured this August!